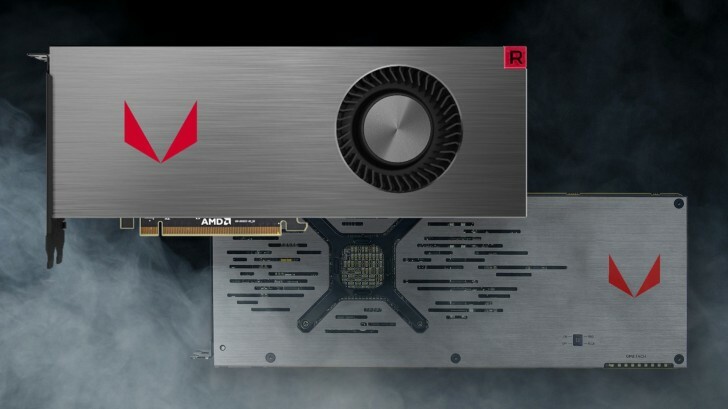 Today we can see an interesting performance test where AMD shows the performance of the Radeon Vega RX 64 compared to its top of the range graphics card from the previous generation, the Radeon R9 X Fury. Unfortunately, this performance test is only limited to Battlefield 1. It should be remembered that the Radeon RX 64 offers 4096 Stream Processors, 256 TMUs and 64 ROPs at a Base / Turbo frequency of 1247/1546 MHz along with 8 GB of HBM2 @ 950 MHz memory and a 2048-bit memory interface giving rise to a bandwidth of 484.3 GB / s reaching a yield of 12.66 TFLOPs with a TDP of 295W. The Radeon R9 Fury X maintains the same configuration of SPs, TMUs and ROPs although under the architecture GCN 3.0 (Fiji) at a frequency of 1050 MHz attached to 4 GB of memory HBM @ 1.00 GHz with a memory interface of 4096 bits giving a bandwidth of 512 GB / s, yield of 8.60 TFLOPs and a TDP of 275W. As can be seen, at Full HD resolution, there is a difference of 27 FPS in favor of the RX Vega 64, or in other words, a performance increase of 26%. The difference is reduced in 2K resolution with a difference of 17 FPS (+ 21%), and at 4K the difference is marked at 14 FPS (+ 35%). Apart from the official benchmarks from AMD side, foregin media TechPowerUp also posted Battlefield 1 benchmarks and also added graphics cards from rival camp a GeForce GTX 1080 and a GeForce GTX 1080 Ti. From the below leaked benchmarks we can see that performance of Radeon VEGA 64 is similar to the GeForce GTX 1080.